Barça manager says top spot in the group may depend on Wednesday's results, and is confident that he has ample resources to cope without star man Messi. GET TICKETS! 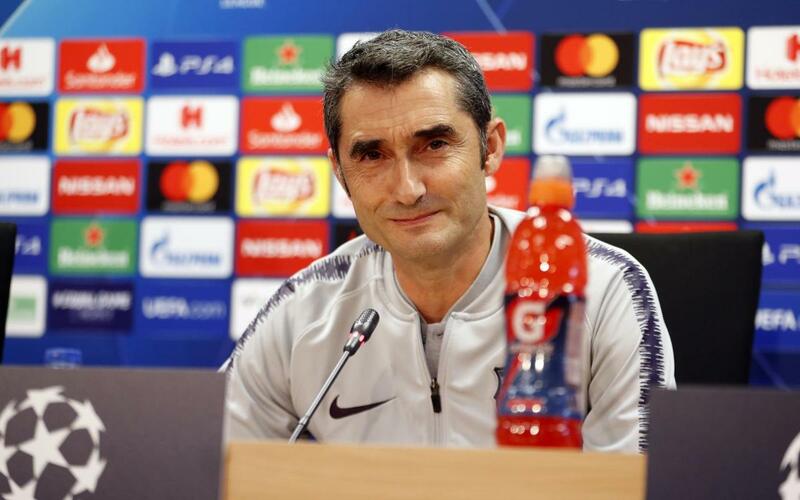 Ernesto Valverde spoke to the press this Tuesday in the build-up to tomorrow’s Champions League meeting with Inter Milan at Camp Nou (9.00pm CET, TICKETS HERE). He singled out Rafinha, Malcom and Dembélé as prime candidates for filling their captain’s boots against the Italians. But right at the end of the conference, a far less expected option popped up. Barça legend Hristo Stoichkov happened to be in the room and, with a cheeky grin, the Bulgarian offered his own services to the Barça manager! Well, there’s no denying that that would be fun to see!